This media resources page provides members of the media with information; resources; and broadcast-, print-, and web-quality imagery developed during the Gulf of Mexico 2017 expedition. From November 29 - December 21, NOAA and partners will conduct an ocean exploration expedition on NOAA Ship Okeanos Explorer to collect critical baseline information about unknown and poorly known deepwater areas in the Gulf of Mexico. The expedition begins in Key West, Florida, and ends in Pascagoula, Mississippi. During the cruise, our at-sea and shore-based science teams will work together to map the seafloor and make deepwater scientific observations in exploration areas. Live video of remotely operated vehicle (ROV) dives can be viewed online in real time from November 30 - December 20. The ship will conduct 24-hour operations consisting of daytime ROV dives and overnight mapping operations, including during transit. Mapping and ROV dives with high-resolution visual surveys and limited sampling activities will focus on priority dive sites and mapping areas in the Gulf of Mexico. Dive sites are expected to include deep-sea coral and sponge habitats, chemosyntheic communities, and potential shipwrecks. This expedition will contribute to foundational information in the region to catalyze further exploration, research, and management activities. Despite the Gulf of Mexico’s proximity to land and the significant industrial footprint in the area, there is still much to explore. The Gulf of Mexico contains significant submerged maritime heritage sites that have yet to be explored. Additionally, the Gulf contains a wide range of habitats and interesting geological features ranging from brine pools to coral gardens and canyons to mud volcanoes. The rich and diverse habitats of the Gulf make it an excellent target for interdisciplinary exploration through telepresence due to the broad range of species and habitats for scientists to find. NOAA Ship Okeanos Explorer’s ability to virtually change the expertise of the science party through teleprences makes it an ideal platform for exploring this area. The expedition involves a number of NOAA partners including the Office of Marine and Aviation Operations; National Marine Fisheries Service’s Office of Habitat Conservation and the Deep Sea Coral and Research and Technology Program; National Ocean Service’s Office of National Marine Sanctuaries and National Centers for Coastal Ocean Science, NESDIS National Centers for Environmental Information; and Office of Oceanic and Atmospheric Research's Office of Ocean Exploration and Research. Other partners include the Gulf of Mexico Fisheries Management Council, Bureau of Ocean Energy Management, and the U.S. Geological Survey. Dr. Charles G. Messing is Professor of Marine Science at Nova Southeastern University in Fort Lauderdale, Florida. His research centers on the evolution, taxonomy, and ecology of living crinoids (sea lilies and featherstars) and on the ecology of deep-sea coral communities and rocky-substrate habitats. He has also been involved in assessment of both shallow and deepwater habitats for proposed fuel pipelines, fiber-optic cables, artificial reefs, and beach renourishment. Charles has led 14 deep-sea submersible expeditions funded by the National Science Foundation and NOAA and has led or participated in over 30 other research and educational expeditions, deep, shallow and terrestrial, as far afield as Papua New Guinea and the Bahamas. He has written or co-authored 63 peer-reviewed scientific journal articles and has 47 years’ experience as a scientific illustrator. Currently, he is also a Research Associate at the Smithsonian Institution and at Scripps Institute of Oceanography and has been a repeated Visiting Scientist at the Muséum national d’Histoire naturelle, Paris. 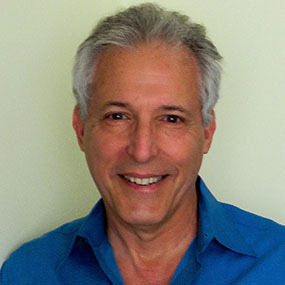 He has also written or hosted several science educational television programs. For more information, please visit: http://charles-messing.squarespace.com . 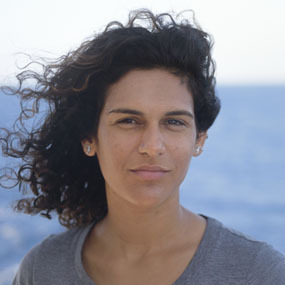 Diva Amon is a Trinidadian deep-sea biologist who studies chemosynthetic habitats and human impacts on the deep ocean, including from deep-sea mining and oil and gas extraction. She will be undertaking a two-year Marie Skłodowska-Curie fellowship at the Natural History Museum in London, United Kingdom, starting next year. In 2013, she completed her PhD at the University of Southampton, UK, after which she spent three years at the University of Hawai’i researching the largely unknown abyssal megafauna of the Clarion-Clipperton Zone, an area targeted for deep-sea mining in the Pacific Ocean. Throughout her career, Diva has participated in deep-sea expeditions around the world, including as Biology Lead during the first leg of the Deepwater Exploration of the Marianas expedition on NOAA Ship Okeanos Explorer in 2016. Diva is very much looking forward to sailing on the Okeanos Explorer again, especially as she has not worked in the Gulf of Mexico before. You can find her on Twitter (@DivaAmon ) or visit her website (https://divaamon.com ). When Brian was five years old, he decided that he wanted to be a marine biologist and explore the unknown reaches of the planet, and now he has his dream job. Originally from land-locked Athens, Georgia, Brian grew up fascinated with marine mammals and the ocean. Brian attended the Honors College at the College of Charleston (CofC) in South Carolina where he majored in Marine Biology and minored in Marine Geology. While at CofC, he had the opportunity to sail on multiple research cruises aboard two different NOAA research vessels and meet multiple NOAA Commissioned Officer Corps members. Shortly after graduating with honors from CofC, Brian was awarded a commission in the NOAA Corps. His first sea assignment was as a Junior Officer aboard NOAA's Okeanos Explorer, America's Ship for Ocean Exploration. 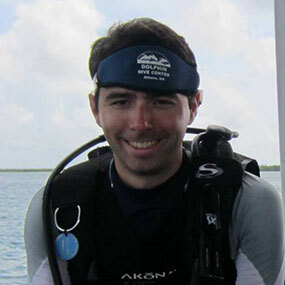 Upon completion, Brian was then assigned to the NOAA Office of Ocean Exploration and Research, where he worked as an Expedition Coordinator for the Okeanos Explorer. Now separated from the NOAA Corps, Brian works for the Office of Ocean Exploration and Research as the expedition manager and telepresence coordinator. Brian has participated in or led more than 25 expeditions of exploration taking him to two oceans, three continents, and through the waters of more than 10 countries. A native of Long Island, New York, Mike took a deep interest in ocean science at a young, age growing up in and on the water. After graduating from the State University of New York Geneseo with a degree in geological sciences, Mike continued his education at the School of Marine and Atmospheric Sciences at Stony Brook University. At Stony Brook, he worked on several projects, including acoustic mapping of coastal areas, coastal sediment management, remote sea level monitoring, submarine groundwater discharge, and applying his GIS proficiencies. Mike’s M.S. thesis focused on the processing of multibeam backscatter and its relationship to the physical characteristics of the seafloor. 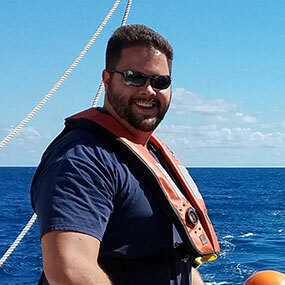 After completing a graduate certificate in geospatial science and earning a reputation as a reliable field scientist, Mike started a new position as a hydrographic analyst with NOAA’s Sandy Integrated Ocean and Coastal Mapping team at the Center for Coastal and Ocean Mapping (CCOM) at UNH. At CCOM Mike processed outside to NOAA hydrographic datasets, examined additional applications for topobathymetric lidar, collaborated on a seafloor imaging device, and served as a physical scientist supporting hydrographic surveys. As the newest member of the Okeanos Mapping Team, Mike is truly excited to support their mission exploring the oceans. During his off hours, Mike can be found cooking, hiking, or watching movies.